In 1987 Mimi’s longtime friends Cary Brown and Wilda Hudson were operating a retail clothing business called From Here to Maternity (you guessed it: maternity clothes) when they learned that the Lilly Pulitzer brand was about to make a comeback. Lilly Pulitzer had launched her line of popular and vibrant apparel in 1958, but retired the brand in 1984. Cary and Wilda soon closed out their maternity lines and rechristened their location as The Pink Door, one of the early Lilly Pulitzer Signature Stores following the brand’s revival. Mary “Mimi” Taylor bought the store from Cary and Wilda in 2007 and continues as The Pink Door’s proprietor. 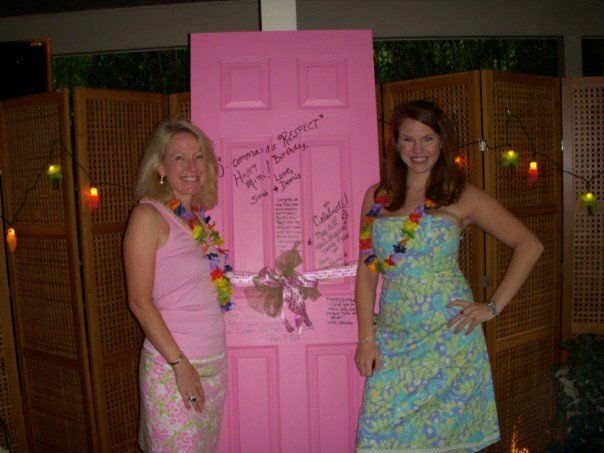 In 2012, Mimi’s daughter, Semmes Humphreys (The Pink Door’s former Store Manager), became co-owner of The Pink Door. Still located at its original home in the Poplar Collection shopping center in the heart of Memphis, The Pink Door offers an ever-changing assortment of apparel and accessories that are the hallmarks of the Lilly lifestyle. Additionally, the Pink Door is a true local, family-owned business!